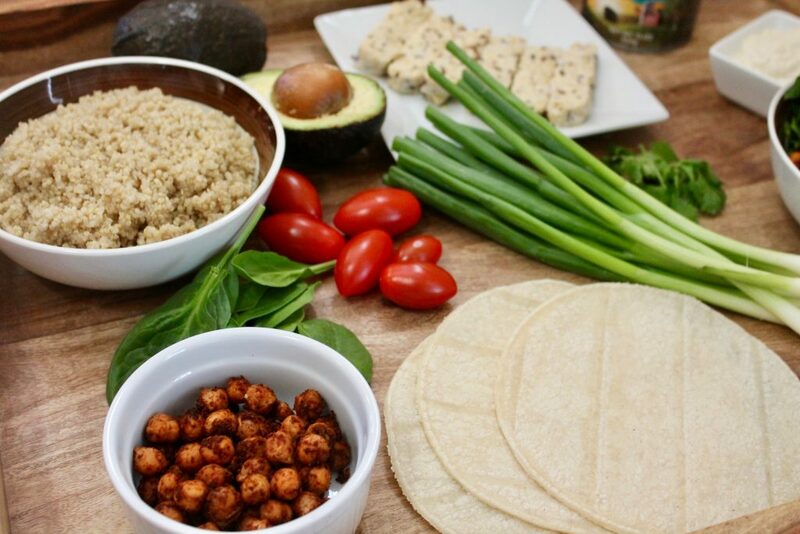 Celebrate Cinco de Mayo with a Healthy Taco Bar! Today we are sharing an easy and fun way to celebrate the warmer weather and Cinco de Mayo! We love Mexican food, and thankfully, it is super easy to make foods like tacos, burritos, horchata, and quesadillas healthy! In fact, some of these recipes will be coming out soon in your new nutrition plan, but until then, lets eat some tacos! •Other optional toppings and sides could include cooked quinoa, black beans, sweet potato wedges, and chopped spinach. Note, you can sub out another white bean if you’d like, or season black beans or sweet potatoes this way. You can also double this recipe if serving more than 4 people. Preheat oven to 375 degrees F (or you can heat them on the stovetop if you have less time). 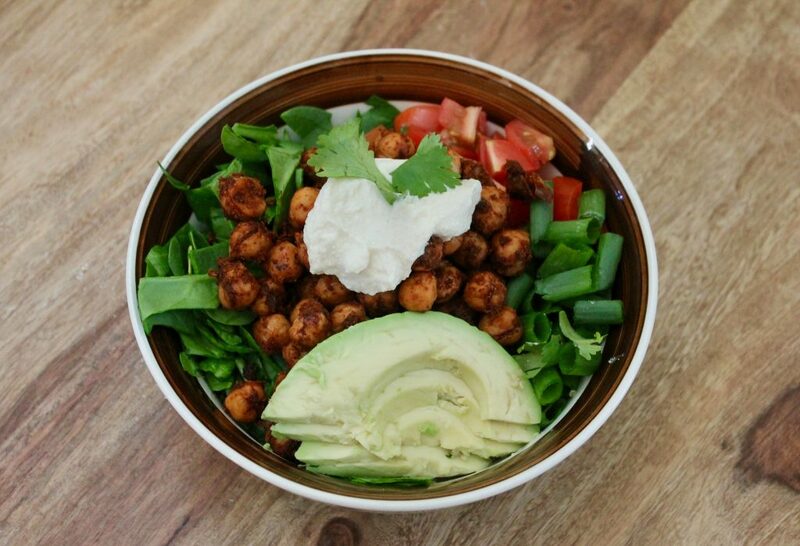 In a large bowl, combine the chickpeas with the chili powder, cumin, paprika, onion powder, garlic powder, salt, lime juice, and cayenne if using. Stir everything together until all of the chickpeas are coated in the spice mixture. Set aside and let marinate while your oven finishes preheating. 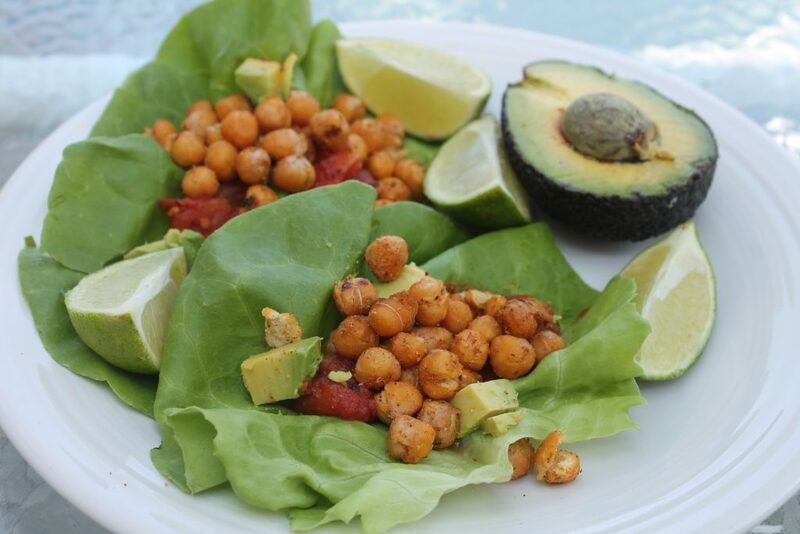 Place chickpeas on a parchment lined baking sheet and bake for 20 to 30 minutes, until chickpeas are slightly crispy. The longer you leave them in, the crispier they will become. Just make sure to keep an eye on them. Alternatively, you can cook the chickpea mixture on your stovetop for 5-10 minutes. 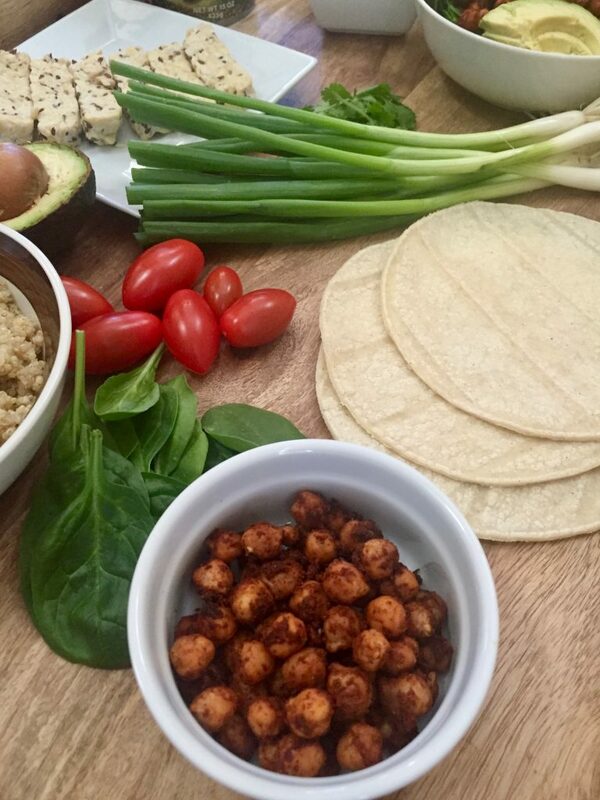 Use a large counter space or serving tray to place your chickpeas and all toppings. Chop up extra greens and veggies too. Our favorite combination is to do the chickpeas with a little squeeze of lime juice, a sprinkle of scallions, a slice of avocado, and a dollop each of salsa and sour cream. We even like to make this into a taco bowl sometimes by adding in quinoa! Want to make it a little more adult? Set up a margarita bar too! I mean, why not?